The queen of hippie chic, Thea Porter was the designer who brought flowing caftans inspired by travel to the rich and beautiful (Elizabeth Taylor had a huge collection). She designed her own dreamy prints and embroideries along with the clothes themselves but even in her hey day was relatively unsung despite hugely influencing popular dress. As the young and fashionable of today embrace the looks she made so popular once again, her name is becoming better known making her dresses, tunics, and maxi skirts rare and expensive vintage finds. I’d personally flip if I found one. While classic graphic design just isn’t my bag (tweaning and font obsession? No thank you) I appreciate the talent of those that do it. Few artistic jobs have as much command over the world, as everyone is familiar and influenced (whether acutely aware of it or not) by graphic design. 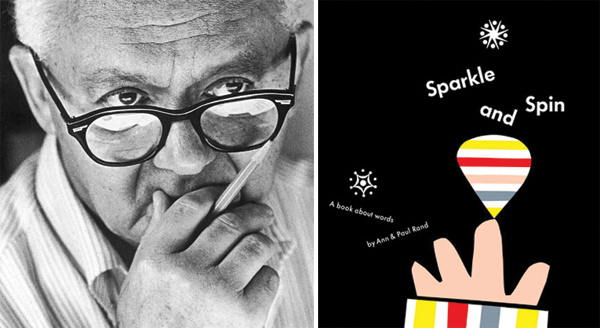 One of the heavies in the industry is Paul Rand, who is as brilliant at logo design for major corporations (Enron and IBM are just a couple) as he is at riveting, lovely children’s books. Might as well add a recommendation for the colorful book Sparkle and Spin that Van and I have been enjoying that he made with his wife. While Rand himself, who not only created lasting designs, but wrote several books on the subject is a huge inspiration to subsequent designers, he himself drew from Modernist artists and art philosophy. 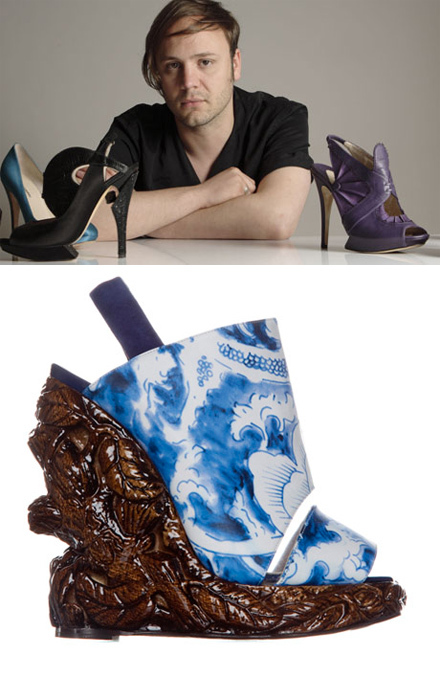 If a shoe on the runway has made you look twice or your jaw drop, there’s a good chance it’s been designed by Nicholas Kirkwood, the outrageously talented Brit. Young and innovative, Kirkwood like so many greats, was encouraged by the late Isabella Blow. He worked with Philip Treacy and under the influence of that experience moved on to create statement shoewear that makes my heart skip a beat. I’ve never wanted to be filthy rich so bad as when browsing his collections. The latest Keith Haring ones, for example are just beyond words. 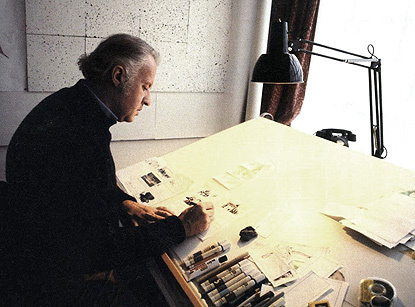 Ralph McQuarrie was largely responsible for the awesome phenomena of the Star Wars world. A gifted artist and visionary designer, his conceptual drawings gave life to the beloved universe. A few of my favorite designs by him were the sand raiders, snow walkers, and Darth Vader. He was also part of the design for Raiders of the Lost Ark, E.T., Back to the Future, and Total Recall. He passed away at age 82. While I’ve made costume designer extraordinaire Eiko Ishioka my style icon before, with word of her passing, I wanted to revisit her amazing, inspiring career. I was a fan long before I knew her name as a teen watching Dracula and The Cell and was lucky enough to see her creations in person at the Grace Jones performance. Thick fabrics, brocade and otherwise, make prefall’s most interesting silhouettes. Starting with Proenza Schouler and their squishy, gorgeous collection. They never used to be my favorite but lately they are killing it. Lots to love in the collection but I’d most like to attend winter parties in this cozy high waisted wrap look. I just want to take a nap in this Ports 1961 blanket coat which manages to still flatter with all its bulk. TSE tends to be too basic for my tastes but when basic meets a silhouette this perfect magic is made. Glad subtle volume is not going anywhere this season. Oh, Thakoon. Pretty doesn’t begin to describe. This pastel look takes elements that have traditionally been, frankly uptight (a turtle neck and a grey blazer?) and brought it to the ballet. I’d love to figure out a way to replicate the feel of this ensemble with items in my closet. Trompe l’oeil, funky Chanel esque jackets, there was a lot of fun stuff to pick from the cheap and chic collection. But I couldn’t help pairing this with Von Furstenberg’s yellow, black and white look. A great combo that looks fresh and funky. Also note: we all need some lady like gloves. Ok, in real life, I’m probably not on board with these shorts but I do love the mixing of black and white patterns, the jacket is fabulous and once again (a recurring theme) the turtleneck gets the pretty treatment. Good for the much maligned turtleneck! Good for Phillip Lim adding a big dose of fun. Love the comic book sweater that is somehow still fashionable rather than gimmicky. Maybe it helps being paired with a perfect fall weather leather skirt. These rumpled trousers toe the line of sloppy but win out thanks to the perfect cuff. Foes this mean my skills of cuffing from my ore teens years will come in handy once again? Also, adore the trompe l’oeil belt and once again another great little jacket – a piece no one can have too many of. Am I wrong to like this all red look? I might be. But that sweater is the kind that makes it worth it to date one of those terribly hip bits you see hanging out at the Ace Hotel. Just so you can steal it. I also think this collection may have subconsciously caused me to buy a fur hat. For that I’m thankful. Wallpaper floral matching pant suit? Who knew DKNY could get so quirky? Not only that, but get quirky so very right? This could easily look clownish but instead it’s chic and making me rethink the hated concept of matchy matchy. Palazzo pants are another often hated trend, but I’ve always kind of loved them. Doo.Ri’s elegant belted pattern suit might even get a few new followers to the wide leg look. While there’s nothing groundbreaking to mention about this Jason Wu dress, I do think it;s terribly adorable and flattering. I’d wear this all the time. Burberry has been presenting some of the most wearable luxury lines now for several seasons. Pre Fall gives us this girlie but sophisticated cocktail dress. So in love. Admittedly, I really did not like the overall Michael Kors collection but it got me right at the end with the awesome proportions and fabric mixing in this casual/dressy look. I am stealing this idea for the next time I get to dress up. Keeping the world classy, Reem Acra! This is just lady like perfection. And this Blade Runner-tastic Narciso Rodriguez one for chillier ones, thank you! I know, I know, it’s fur, but it’s also really lovely, simple, and beautiful and fur just looks great to me right now… But I only do fake, so chill. More fur, this time simple doesn’t play any role in it whatsoever. Glad he’s still all about dressing insanely rich people with taste. Loved Chanel. Gold and pearls might just be my favorite friends. Well, isn’t this Donna Karan dress a joy. I finally have some weddings coming up and if I could, this would be my dress. See more great looks after the jump!! While it’s taken a hit with its association with college dorm rooms, I still adore the Art Nouveau movement, particularly when it comes to jewelry. Rene Lalique was one of France’s most acclaimed masters and his gorgeous work speaks for itself. 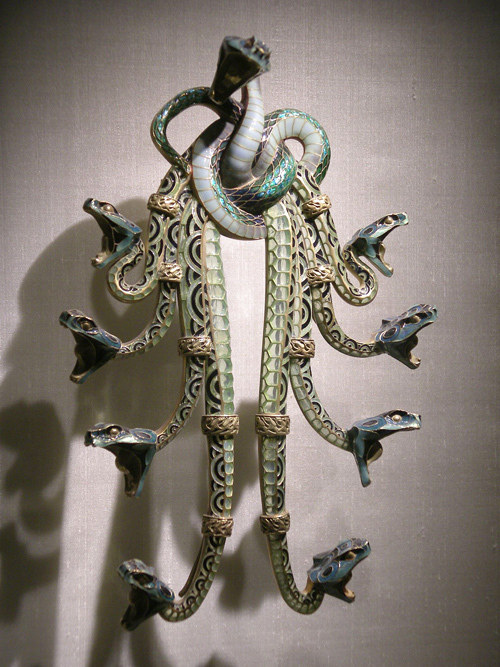 I’d do just about anything to own his huge serpent brooch – which unfortunately means robbing a museum, which I’m not totally up for. He was also a gifted glass maker and later became associated with Art Deco. 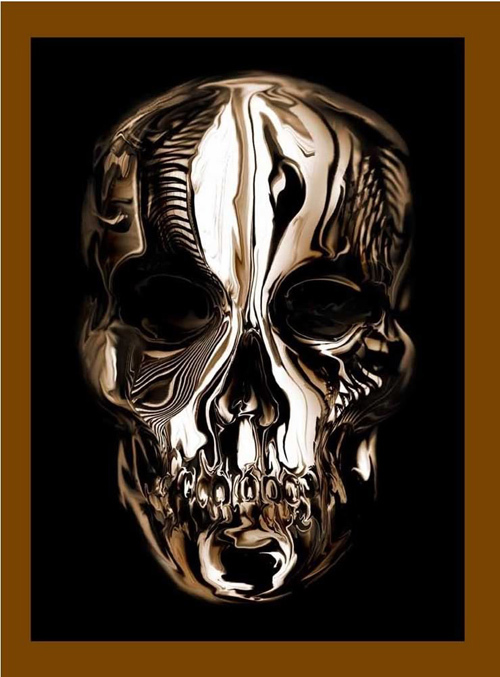 The book accompanying the Met’s extraordinary Alexander McQueen exhibit, Savage Beauty is exquisite. If you weren’t able to make it to the show, (I am truly sorry) This book should be on the top of your wish list. While I’ve mentioned it before (and posted images) on my review of the exhibit, it’s worth mentioning again because it’s on crazy sale on Amazon and makes a great present for fashion lovers of all kinds. I recently gave it to a nine year old cousin who was simply beside herself, jumping up and down at the photos. The images are bold and many and the hologram cover is pretty awesome. A fantastic retrospective of an incredibly creative career cut far to short sniff . OK, so it’s taken forever to organize and write about it, but Paris was amazing, just amazing. And if I had to choose a favorite it would be Comme des Garcons off the wall white wedding. Walking art! Vivienne Westwood presented amazing off kilter looks that magically played with human proportions. This mystery rich woman vacationing in the desert look is a personal favorite. Yohji Yamamoto was at his very best with these feminine black and white looks. Love the unique sleeves and layering. Like every one in this row, Ann Demeulemeester is known for doing the same but different, and like everyone mentioned as well, this season’s different was extraordinary. Her East meets West collection of floor skimming skirts, wide brimmed hats,double breasted jackets and fringe was quietly epic. Givenchy, after a few stunning shows, was admittedly not my favorite, but this leather dimensional mini was pretty amazing. A.F. Vandevorst’s drapey gothic mix of feminine and military could have walked off into the sunset with the Demeulemeester collection and lived happily ever after. Must figure out how to mimic this great small jacket, flowing top, skinny jeans look. I am not a minimalist but this simple yet off kilter jacket by Nicholas Andreas Tralaris is spectacular. Damir Doma, also following a dark feminine trail. The gold neckline of this gown is elegant and would be so awesome for holiday parties. The choker is a definite want. What an unexpected surprise Valentino was! I almost feel bad being so in love with the collection when Valentino is no longer at the head, but with gorgeous silhouettes, wonderful embellishment and fun surprises (hints of black and neon on conservative beige!) this was one of the seasons bests. Chanel was in a winter wonderland and finally making lots of flattering pieces. This puff sleeve pocketed eyelet dress is incredible. Vuitton was on a similar brainwave with thier carousel of confectionery dresses. Kate Moss looks stunning in this full skirt mini – a silhouette I’d love to come to chain stores so the rest of us can try it. Sophia Kokosalaki presented a beautiful collection. This fairy princess gown would be such a dream wedding gown. Alexander McQueen continues to honor his legacy. This floor length beige lace gown.. wow. And it vaguely reminds me of one of my favorite dresses. Balenciaga hasn’t been a personal favorite for a few seasons but all that stopped with this outrageously chic and stand alone collection. The long visor hats! The interesting silhouettes and materials, it all made for a eye opening experience that was truly unlike anything else seen this season. Beige craze continues with this gorgeous flower of a dress. So pretty, too bad the chances of finding anything like it are slim. Usually I try to find trends that us normal people can use in shows, but frankly so much of Paris was uniquely high fashion that I’ve mostly just been in awe BUT here’s a look we can steal from. Love how Veronique Leroy uses a utilitarian color to toughen up the girlie pleated skirt and bow collar top. 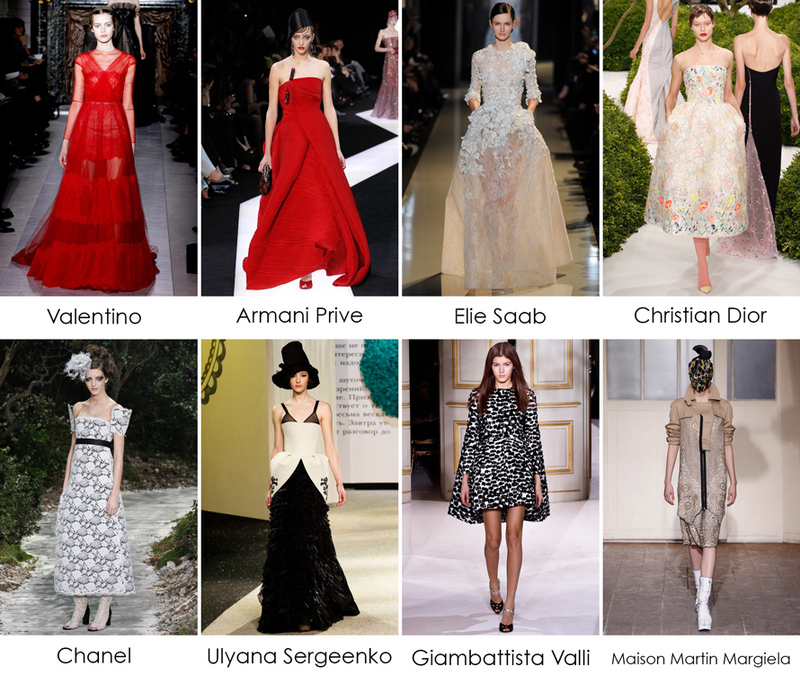 Also, think one color ensembles will be tres chic for spring. Yellow looked bold and refreshing at Rykiel and this mustard canvas skirt is pretty killer. Love the idea of layering a skinny top with a tank too. Kenzo was full of fun just look at this balloon pant, ruffle top outfit. This should not look good, and yet it does. Wonder if really full pants can be worn in real life? There were so many Rue du Mail dresses I coveted that this was one of the hardest to choose a single image from. I especially love when they pull from romantic vintage inspiration. Nina Ricci was also lovely and romantic, this ditsy confetti floral dress is just too cute for words. Oh Carven, you have won my heart over and over. Neon tribal? Thank you, thank you!! Miu Miu’s heavy jacquards rule and I think we will be seeing more of the trend in upcoming collections. So much wearable wonderfulness from Sacai! I suddenly need a floral spring jacket and a see through pleated skirt. This look is too perfect. More amazing looks after the jump. 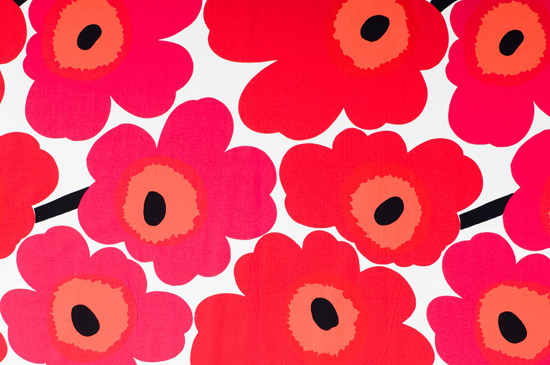 Marimekko still inspires with their bold but simple designs. But who was behind those bright big poppies? A talented unique textile artist named Maija Isola. The Finnish textile artist actually rebelled against a Marrimeko ban on florals to create her most lasting pieces and sacrificed quite a bit for her art. In order to travel for artistic inspiration, her daughter was mostly raised by her grandmother. Her iconic designs can still be bought and might well be the most universally recognizable textiles ever made. She passed away in 2001. 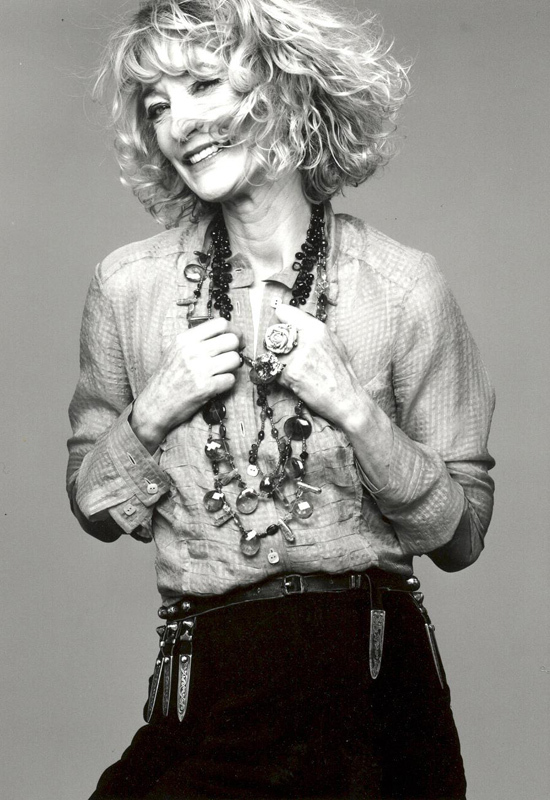 Few people fit the description of style icon as completely as Loulou de la Falaise who passed away today at age 63. 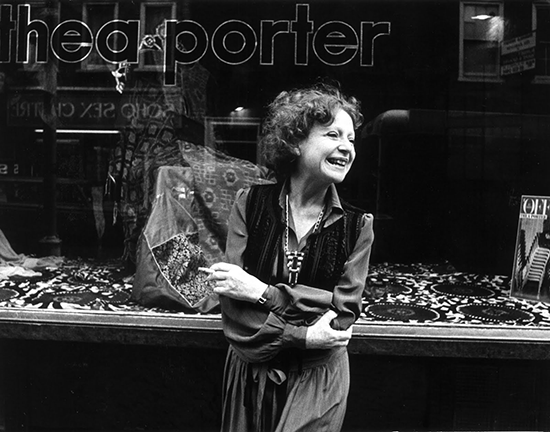 Always impeccably stylish, she was a unique beauty with wide eyes, an impish grin and effortless elegance. With her individual style usually consisting of lots of layered baubles, a timelessly chic wavy bob, skinny pants and perfect blouses, she was friend and muse to YSL who credited her with inspiring his tuxedo jackets. A remarkably fashionable woman, who was after all, the daughter of a model and count, she also notably joyful. In nearly every photograph she is smiling or throwing her head back in laughter. If anyone lived the idea of growing old gracefully it was her and I think that constant smile had something to do with it.